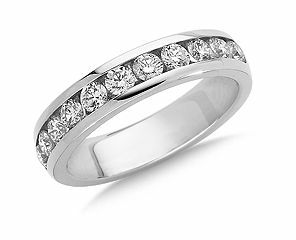 Diamond Ring, channel set diamonds in 14 karat white gold, a classic gift for many occasions. Stackable to go with other rings. Also available in different diamond total weights, white or yellow gold, even rose gold in a smaller size.